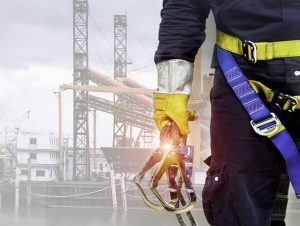 Employers must ensure that employees who work in any facility with heights of four feet or more use fall protection equipment such as travel restraint systems, fall restricting systems, fall arrest systems, a safety net, work belt or safety belts and must comply with O. Reg. 213/91 (Construction Projects Regulation). 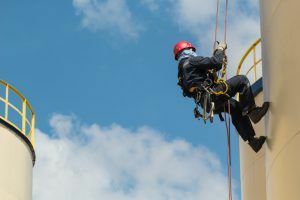 To comply with these regulations, employers must ensure their workers successfully complete a Working at Heights training program and take the working at heights refresher training every 3 years. 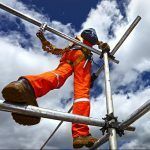 The Working at Heights safety training program must be delivered by a CPO-approved training provider such as Advanced Consulting and Training LTD. Employers must have the written proof of enrollment which can come in many forms. The required information for proof of enrollment includes the name of the worker, name of the approved training provider, the date on which the approved training is scheduled to be completed, and the name of the approved training program. 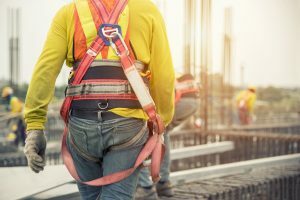 What is Covered in Working at Heights Training? Once the training is complete, attendees will receive a CPO issued proof of training card. Employers are required by O. Reg. 297/13 to keep of copy of their workers CPO issued cards in order to maintain a training record. An inspector may ask for copies of each worker’s CPO issued proof of completion at any time. The Ministry of Labour will also keep this information uploaded in a secure centralized database. To remain compliant with the regulations, workers must take a refresher course every 3 years. Working at Heights refresher training replicates the practical module of the Working at Heights training program. The minimum duration of the refresher training is 3.5 hours of training delivery. 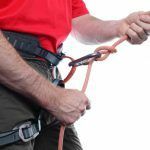 Contact us today to find out how Advanced Consulting & Training can help you with a safe & proactive Working at Heights program.